We all know Santa Claus. He seems to be everywhere - books, TV, movies, songs. But, do we really know him? How did he get his long white beard? Where did he come from? What is it about those flying reindeer? 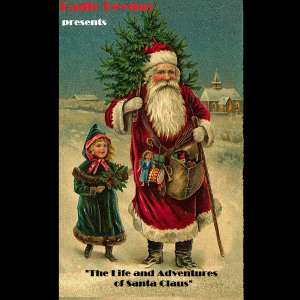 Radio Heyday answers all your questions with this production of "The Life and Adventures of Santa Claus", adapted by Rachel Bush from the classic L. Frank Baum story. This page has been visited 8 times.